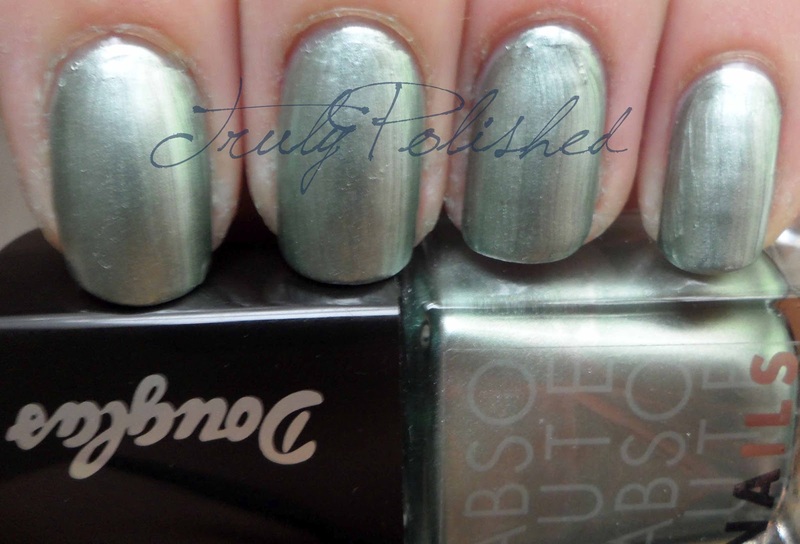 FINALLY I've got one of my polishes from my trip to the Netherlands to show you. It seems like ages since I got back from there but I've just had too much irresistible nail mail to swatch so I haven't had any time to swatch these! Today was a really bad day for taking photos because the weather has been so awful! Really miserable and rainy, typical English weather! This polish is called be balanced. I can't even explain how much I hate non-capialisation with things like this! It's like nails inc, whether they like it or not I call them Nails Inc and I won't stop! 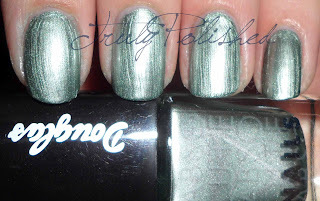 Be Balanced is a green foil (or chrome effect as Douglas call it) polish. The application on this was actually really good, the formula was great and it covered my nail easily with two coats. 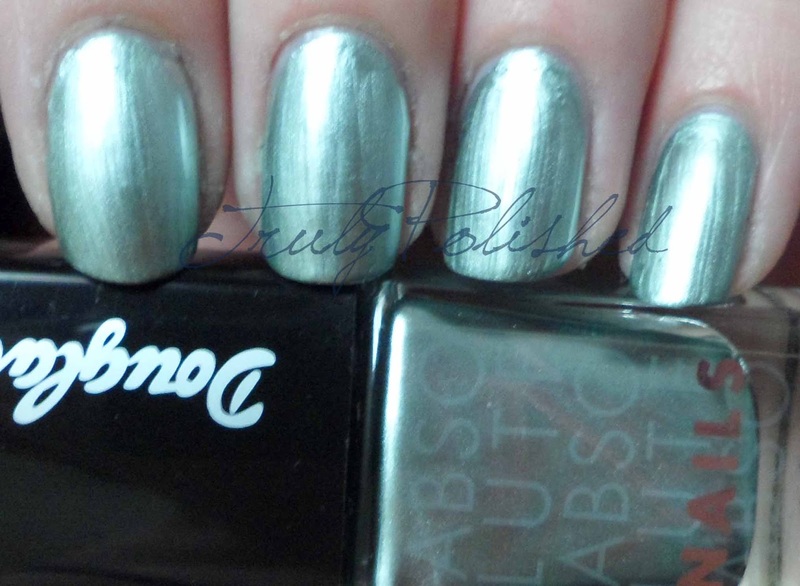 However, once the polish was on the nail it went downhill from there. It had a bit of frostiness to the foil which made the brushstrokes really visible. I waited for it to dry completely before taking the photos but unfortunately they were still there! The photos below show two coats with no topcoat. The closest thing to sunlight I could get! Flash - look at those brushtrokes! I was really looking forward to this polish, but I don't think I like it... I was expecting it to be like a green version of my beloved Models Own Champagne, but this just doesn't look good on, so I think it'll be reserved for stamping! I got it in Douglas for €4.95.